There have been recent reports that some seemingly innocent videos on YouTube and YouTube Kids (such as ‘surprise eggs’, unboxing videos and Minecraft videos) have been edited by unknown sources to include violence provoking and/or other inappropriate content. This content may be shared with your child via social media channels: SnapChat, WhatsApp, Instagram and others. This content may encourage your child to self-harm or carry out some other “challenge”. As a parent, it’s difficult to spot these videos as the harmful content doesn’t appear until partway through the video. 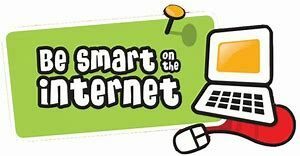 To protect your child from such harmful content, we recommend that you talk with your child on an ongoing basis about what he or she is accessing and about how to stay safe online. Reminding your child to tell you about anything upsetting that they encounter online is very important. Having regular and open dialogues about what your child is accessing will encourage them to talk to you if they feel unsafe or uncomfortable with any content online or bullying behaviours.